"I was not certain I would win because I had not raced before with the one who was following [Mehdin], but when I opened up a 10m gap, I started praying as I was racing, and I thank God that he has given me this win that I have dedicated to the Kenyans." 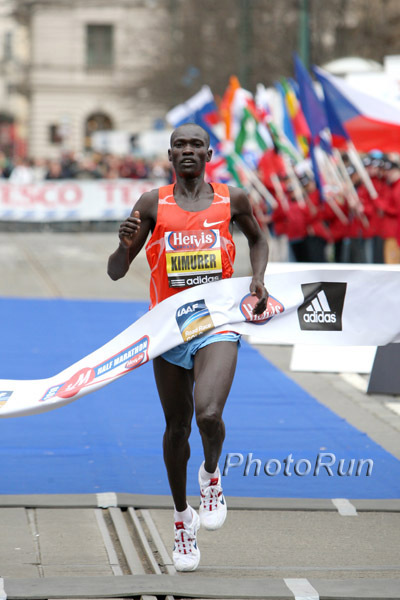 - Joseph Ebuya, the first Kenyan man to win the World Cross-Country long course title since Paul Tergat in 1999. Boards: How is Tavaris Tate not on the front page? LRC Berlin Half Marathon Photos Pasalia Kipkoech made sure home favorite Sabrina Mockenhaupt didn't win her 2nd in a row and Ethopian Eshetu Wondimu ends the Kenyan string.